One of the biggest problems with ebooks is DRM. It locks ebooks into certain platforms so that you can only read your purchased ebooks on specific apps and devices, This article is a guide to read purchased ePub ebook in iPhone/iPad. 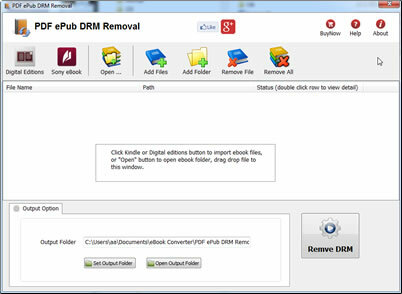 Adobe PDF ePub DRM Removal is tools to remove Adobe ebook DRM protection and remove expired limitation of public library epub/PDF books. 2). Open .acsm file in digital editions, or Open epub file in Digital Editions, then unlock the file’s DRM so that it becomes readable. At this point you should be able to read the library book in Digital Editions. 3). 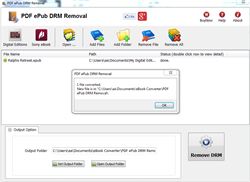 Download PDF ePub DRM Remove that is tools to remove adobe drm protection from PDF epub ebook. 4). Run PDF ePub DRM Removal, it is easy to use, click “Digital editions” button to import ebook files, or select ebook file drag and drop to file list. 5) When you’re ready to removal DRM protection , click “Removal DRM” button. 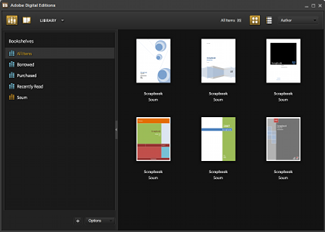 After a few seconds, you’ll have an ePub/PDF book in output folder. 6) Once find decrypted ePub/PDF file in Windows Explorer, you can upload it to iPad iphone by itunes, enjoy reading. This article is intended as only a guide for people that choose to take responsibility for removing the DRM from their purchased ebooks in order to have greater control over their own purchased content.